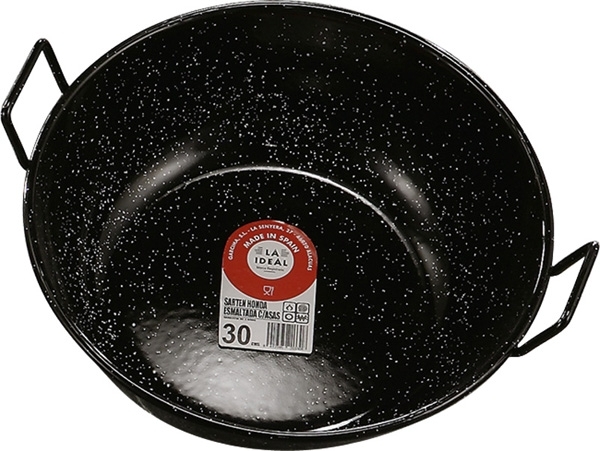 Deep enamelled pan with two handles. Ready to cook with timber, charcoal, gas (any kind of fire). 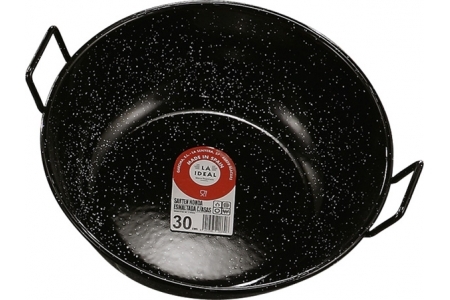 This deep enamelled two handled paella pan has a capacity of 3,7 lts.